As we have discussed before, there are a number of healthy additions to your garden that you may want to consider. However, there is another side of the gardening coin to consider, and it’s one we’re going to focus on today: the elements of your garden that you may want to subtract. Standard weeds – such as dandelions – are never welcome in a garden. As a result, you will need to develop a routine that allows you to remove the issues before they are given the chance to proliferate. There are numerous ways to do this, from conventional chemical weedkiller to organic, homemade options as featured on www.goodhousekeeping.com. It’s important to note that there are no “right” or “wrong” ways to deal with standard weeds; you just have to have a dedicated plan that you continually implement, as weeds can spring forth in a matter of days if left to their own devices. One note regarding safety: if you have a vegetable garden, you may wish to opt for non-chemical weed control options such as weed burners. This protects both the plants you want to thrive, and ensures you will not be consuming weed killing chemicals when ingesting produce from your garden. Unlike standard weeds, noxious weeds are a genuine menace to your garden. 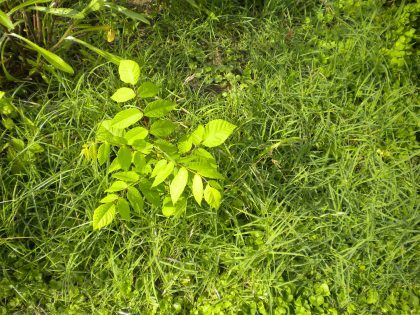 This kind of weed is renowned for its ability to spread and grow and, if not dealt with, can threaten your entire outdoor space. There are some great pictures of noxious weeds on www.thespruce.com, so if there is a weed you have been struggling to banish, it might be worth cross-referencing with this source. If you do suspect you are dealing with a noxious weed, it may be preferable to speak to a professional in an effort to help remedy the problem once and for all. Persistent issues with pests such as ants and other creepy crawlies can really impact your ability to make the most of your garden and, realistically, a severe infestation is a matter for professionals. While there are homemade pest control remedies you could try, this are far from certain to produce results; you will usually be best off working with the likes of www.atkinsinc.com to fully eradicate the problem once and for all. No garden idyll is complete without a lawn, but lawns are trickier to maintain than they first appear. If you notice lawn fungus or mushrooms beginning to grow, this is a sign of overwatering, and you may wish to change your sprinkler settings to compensate for this. Fungus can just be removed by (gloved) hand in most cases, or you can remedy the overwatering issue, which should hopefully cause the fungus to die off naturally. By removing the above issues in your garden, you and your family will be free to enjoy the open air without concern over unwanted intruders.